I’ve always liked writing and making up stories, ever since I was a kid. My school reports always praised my imagination and criticised my habit of daydreaming in class – I think the two were closely related. I told a career advisor at school that the job I wanted was to write Batman. I used to write ‘Choose Your Own Adventure’ type books on my parents’ computer, which I would then print out and attempt to sell at school. I also created my own comics, which didn’t turn out so well due to a painful lack of artistic ability. So I guess in a very small way, I got some early experience of self-publishing through those ventures. A couple of things: the first one is the fact I just really love to read crime fiction, from the classics like Chandler and Hammett right up to the present day with people like Connelly, Rankin, Child and Reichs. The second thing is that what I write seems to lend itself to crime and mystery more than any other genre. I enjoy horror and sci fi books and movies, but I’m not sure I would know how to write one. Similarly, I’d have no clue how to write a ‘literary’ novel. The elements I enjoy the most: memorable characters, snappy dialogue, mystery and plot twists, all lead me into the crime section, and you know what? I’m fine with that. Stephen King, Ira Levin, Frank Miller, Neil Gaiman, Ian Rankin, John D. Macdonald, Denise Mina, Lee Child, James Ellroy, Elmore Leonard, Raymond Chandler, Kathy Reichs (to name but a few). I don’t consciously try to write like any of them, but I aspire to create work that gives others as much pleasure as the above writers have given me. I didn’t get any publisher interested until I had an agent, but to be fair, I hadn’t submitted work to publishers as often as an aspiring writer probably should do. I tried my luck with various short stories and found it tough to get anything published, but I did have a few successes with small writing magazines and competitions. My biggest early success was to have a story called ‘A Living’ published in one of the Quick Reads books: The Sun Book of Short Stories. Obviously I have to say Carter Blake is a favourite, because he’s my protagonist, and the only character that’s in all of the novels. 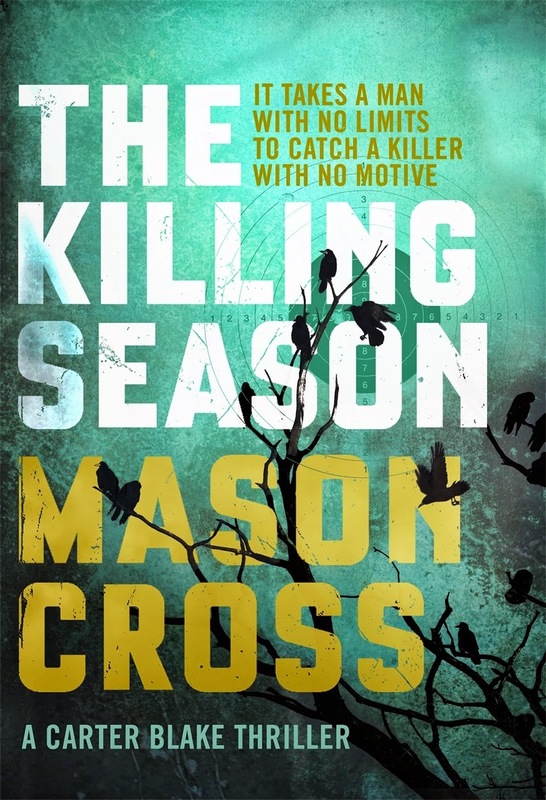 Having said that, my favourite characters to write in The Killing Season were Banner, who’s the supporting lead, and Wardell, who’s the villain. Those two are at the two extremes – Banner is a relatively normal person and Wardell is a mass-murdering psychopath. Blake is kind of in the middle. Different types: obviously the internet is an incredible resource, as long as you do a bit of fact checking, but I like to read good old-fashioned books on subjects relevant to what I’m writing. I also incorporate my own personal experiences through travel. One of the biggest helps in writing a US-set thriller series is having American friends I can interrogate to make sure I get the details right as far as possible. No. For one thing, that’s a great way to get sued, for another thing, it’s much easier to simply invent a character than to try and fit a real person into a book. I do take elements here and there from people I’ve encountered, or add memorable snippets of dialogue I’ve heard in real life, but mostly the characters are completely imagined. The fact that it’s a very American Scottish crime novel! I think Glasgow (where I’m from) has a particularly pronounced American influence, probably from having been such a big shipping town historically. You can see that influence in a lot of ways, from the fact we love country music to the number of successful writers of American superhero comics from here. Even the grid plan of the city centre feels more like an American city than a British one. A little bit. Blake likes process – he’s obsessively driven to complete a job once he’s set himself a goal. He’s also a little tunnel-visioned sometimes and has a tendency to infuriate those who spend time with him. My wife will vouch for the fact that that could describe me. He’s much smarter and better in a fight than me, though. The next one’s called The Samaritan. It’s about a serial killer who prays on drivers who have broken down late at night on deserted roads. 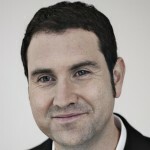 Blake realises he may know who’s doing the killing, and gets himself involved in the investigation. The most recent one is always a favourite, but I’m excited about the next novel I’m about to start, which is going to be called Winterlong, and should be out in 2016. I’m certainly not well-known but am flattered by the suggestion! My best advice for writers is the usual: keep writing and don’t give up. Even if you think something’s rubbish, it might turn out not so bad. Remember: there are a thousand ways to fix a rough draft; there’s only one way to fix a blank sheet of paper. Monday 24th November, 7pm. Free, unticketed. After months of online speculation, we unmasked the identity of Sam Alexander as none other than CWA Dagger Award winner Paul Johnston, author of three bestselling series of crime novels, including Greek detective Mavros. In this exclusive event, we are proud to support an international author from Scotland and his publisher Arcadia Books who have created quite a stir around the author’s mysterious identity. Paul Johnston is a seasoned hand at crime thriller writing and his first Sam Alexander novel, set in the North of England, represents a new direction in his writing career. Carnal Acts has garnered glowing reviews with a new approach to the police procedural novel. Join us in Waterstones Argyle Street on Monday 24th November to toast the start of Book Week Scotland with this exciting event. Thursday 27th November, 7pm. Free, unticketed. Waterstones are hosting a panel event with some of our favourite literary couples: Helen Fitzgerald & Sergio Casci, Craig Robertson & Alexandra Sokoloff and Russel McLean & Lesley McDowell; discussing the pros (of which there must be many!) and cons of living and working together. It should be a great night and hopefully no one will be crying by the end! For a taste of something truly different come along to an evening combining the Scottish loves of eating, drinking and a bit of banter. Hear acclaimed Scottish novelists, Christopher Brookmyre and Caro Ramsay talk about their work and feed your stomach as well as your soul at our Book, A Beer and a Burger event at Kirkcaldy Galleries. Ward of the winter chill with an evening of lively banter between the two authors accompanied by a pint and a tasty burger. Waterstones, 175 High Street, Kirkcaldy KY1 1JA. An evening with celebrated crime writer Lin Anderson. Not just for ladies who lunch, this is a fantastic opportunity for all crime fiction fans to join Ann Cleeves, bestselling author of the novels behind BBC’s Shetland series and ITV’s Vera, over lunch in St Andrews Library. Sit back and enjoy listening to one of the most popular and talented crime writers around, and if you’re at work, what better way to spend your lunch hour than in the company of Ann. As part of a celebration of libraries and reading, popular crime-writer Ann Cleeves has created a Shetland-themed grisly murder mystery which will be played out in Midlothian Libraries especially for Book Week Scotland. A woman has been murdered in the Ravenswick hotel library and it’s your task to find the killer. 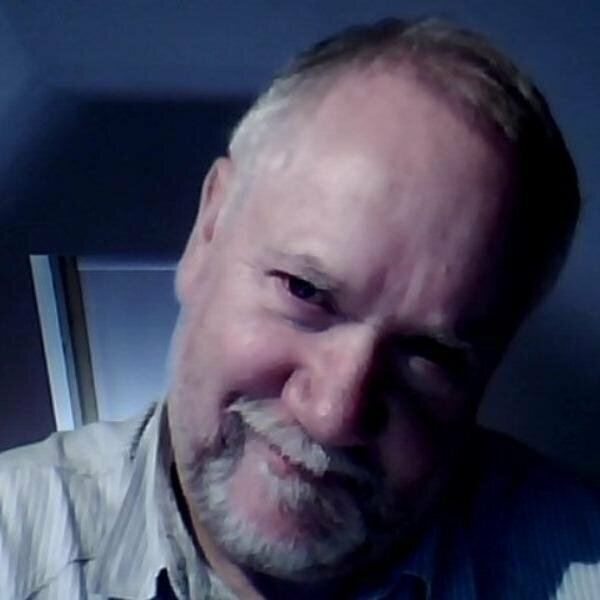 Originally self-published in 2012, (James’ first book in his DI McLean series Natural Causes) , James has now moved on- he’s now a bestselling author of fantasy and crime books, his crime books shifting an extraordinary 250,000 copies, with Penguin as publisher. Author of crime novels The Good Son and The Lost Sister, (featuring Scots Private Investigator, J McNee) Russell McLean also writes short stories, one of which, “Pedro Paul”, was singled out by Publisher’s Weekly as “awesomely dark”. Possibly in the days of ‘love and peace man (giving my age away! )’ when everyone was writing poems and songs about war, life, love. I never took it seriously until I had a go at writing a play and was invited to a play writing workshop by 7:84, which was a great experience. I think writing dialogue spurred me to writing fiction (easy, just fill in the gaps between the dialogue! ), and when I started I couldn’t stop. I didn’t really think it was a crime novel until a friend mentioned the first chapter of one of my earlier attempts was like a Quentin Tarantino movie. My writing has always been ‘edgy’, dark, with a bit of sardonic humour, possibly influenced by living in Glasgow. I like to write what I like to read, i.e. writers that keep you on edge, get your emotions going, stab your consciousness. I loved Dostoevsky and his conscience changing characters, or Luke Rhinehart, the Dice Man, where anything goes; but also been greatly influenced by local ‘noir’ writers like William McIlvanney and his Laidlaw, and of course most stuff from Mr Rankin. I also love Jim Kelman, his fantastic dialogue, and Alasdair Gray’s Lanark. Impossible; although as my writing improved the rejection letters became more personal! I think I rewrote my first version of The Father about fifty times and it still wasn’t right. I got shortlisted for the Debut Dagger which was a real boost; an indication for me and prospective publishers that I was on the right path. Not really, I think I like ‘bad’ characters more than the heroes; you can do more with them. Spending a lot of time in seedy pubs trying to get grasp of the way people talk to each other. The Web is such a cheater’s source of information and I exploit it shamelessly; but you can’t beat ‘walking the walk’. I have also been a social worker in mental health for over thirty years, so lots to draw on. Oh yes, some are a composite of some real life characters I’ve known; but sometimes I try to imagine some famous characters and place them in certain scenes. It’s fun thinking about John Cleese as a psychopath. I think I go deep into the characters minds, mess with their heads and their relationships, transform them from good to bad, from bad to good. My tag line for the Father ‘can a good man be made bad’, gives an idea. I guess there is a lot of the writer in his main protagonist. I see something of him in me and some things of me in him, but I am not an alcoholic, I don’t have a mental illness, and I don’t have a predilection for serial killers who kill by proxy. 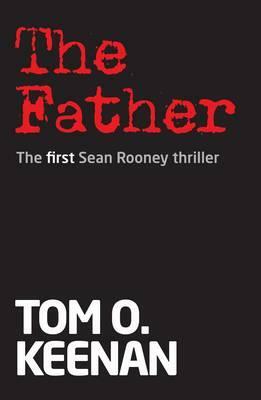 The Father is first in the Sean Rooney series. I’ve started writing the second. I’m playing around with having two antagonists at the start with one become the hero as the story progresses, not sure which one though! It’s fun playing God! I like my prologue, which really sets the scene (of the book). I just let it all go, hitting the reader with a barrage of imagery. Just keep working it; flex that creative muscle in your head and don’t fear criticism, use it to grow; and write every day, whether you feel like it or not. Mental illness, alcohol abuse, and the tedium of pursuing typical killers, leave Sean Rooney a pathetic man, a failed forensic profiler, a bit of a loser and definitely retired. DCI Jacqueline Kaminski has other ideas. Faced with a multiple murder – and some headless corpses – she needs Rooney back on the case.